The composition of green coffee include caffeine and chlorogenic acid, the combination of which acts on fat cells and accelerates their decay. What is the overall decline in body weight (weight loss of 5-7 kg per month). 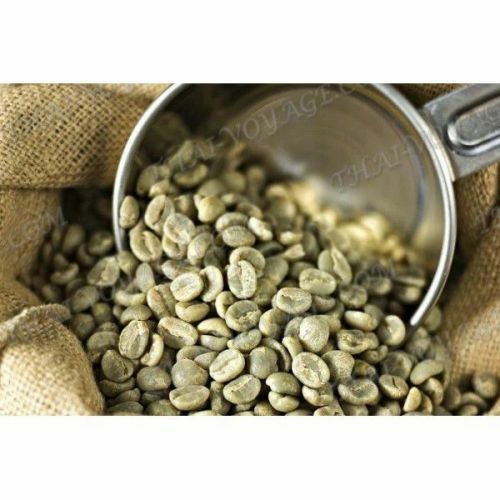 In addition, green coffee beans contain a large amount of tannins with purine alkaloids, which have an overall tonic effect and perfectly uplifting. Green coffee is used as a stimulant for the brain activity and mental activity. Coffee improves blood circulation in the vessels of the brain, and relieves spasms. Regular coffee consumption improves memory and relieves headaches, seizures. Application: The coffee beans need to fry in the oven for 25-45 minutes, until browned. Then grind in a coffee grinder. Drink coffee to three cups a day, the excess of the dose - is undesirable. It is best for weight loss, combining intake of coffee with the maintenance diet.